So as developer you might want to use the latest browsers. Browsers your users will use in their bright future. Browsers like Chrome Canary and Firefox Developer Edition. 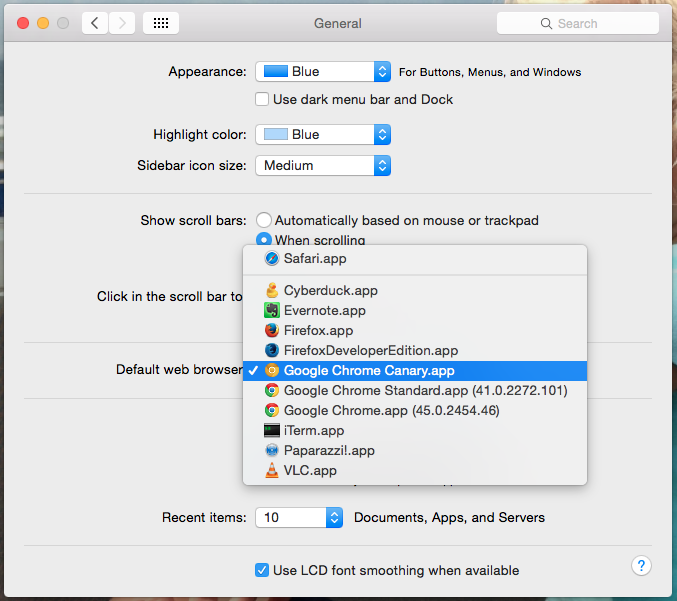 Setting Chrome Canary as default can’t be done through Chrome.